New style created by "Yakiniku Shokudo YANMA." 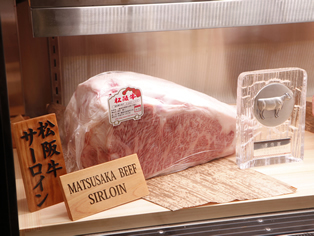 Broiling (Grilling) fine quality wagyu on the hot teppan (a steel grill/plate) to bring you "Yakisuki." Yanma is a teppanyaki-style restaurant especially for meats such as, "Yakisuki," ox tongue, Tonteki (pork steak) and deep fried chicken thigh. As you can see on the menu, you can order a single item or a set meal from any of our meat cuisines. Once the special sauce of Yakisuki is on the hot teppan, it immediately spreads fragrance of the grilled meat and the sauce. Although the fragrance itself will make you hungry, pairing the meat with white rice will make it even more delicious. When you drink alcohol while eating the meat, it brings out more of the umami flavor and the fat from the meat itensifies. This will make you want to drink more. You can also order only appetizers or sides, such as fried soft tofu. We hope you find your Yanma style.